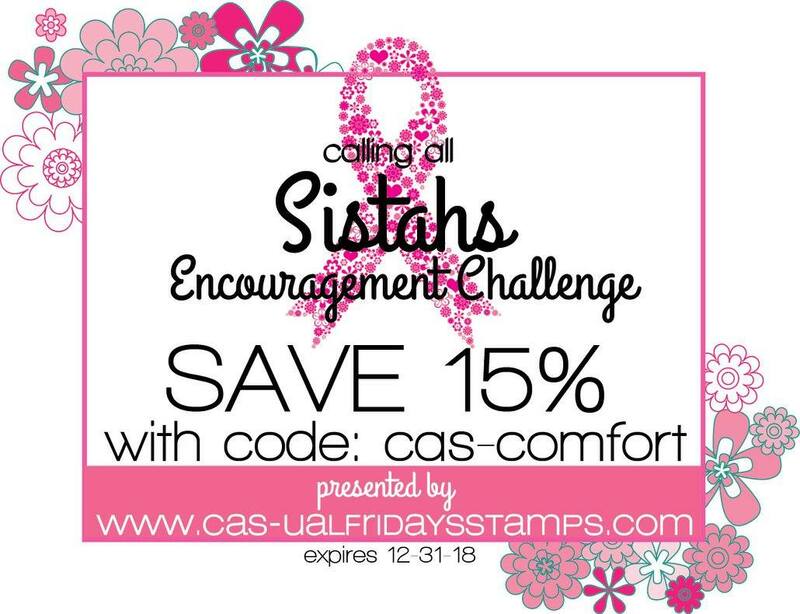 It's a new month and a new challenge over at Calling All Sistahs. As you may have read in yesterday's post, I am not a coffee drinker. Now if it tasted like it smells, that would be one thing. But it tastes like dirt! So for my encouragement card today I went strictly with the color combo. 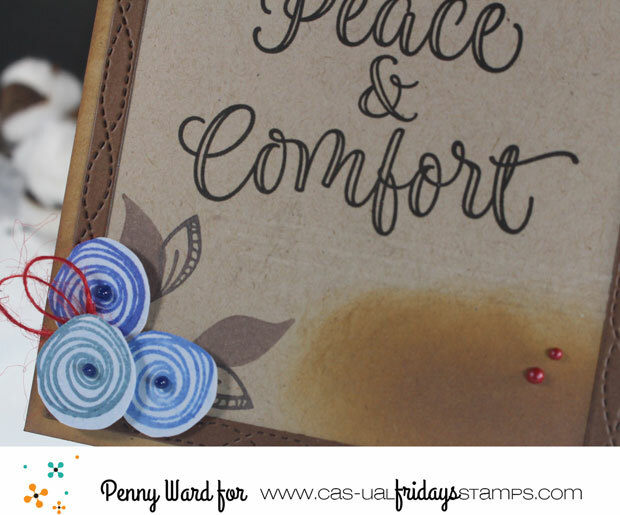 Love, love, loving this new stamp set Peace and Comfort using VersaFine Onyx Black ink. 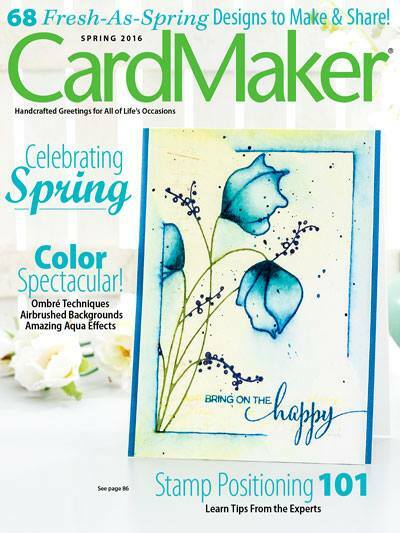 Flowers were stamped and fussy cut with dots of Crystal Drops for the centers. 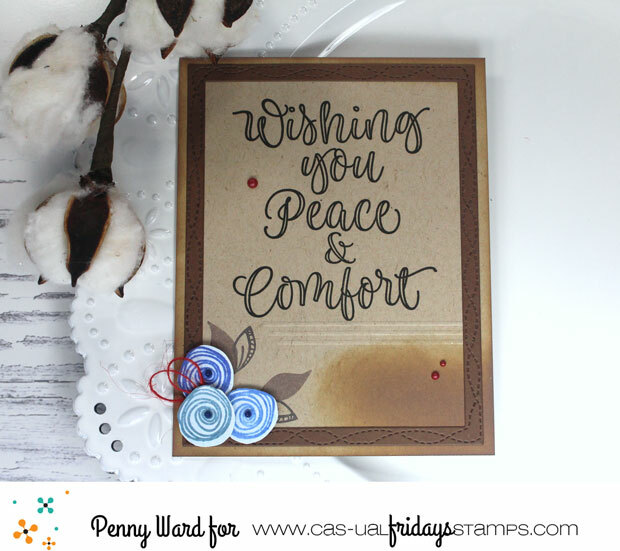 We know you are making get well cards, Thinking of you cards, Sympathy cards. 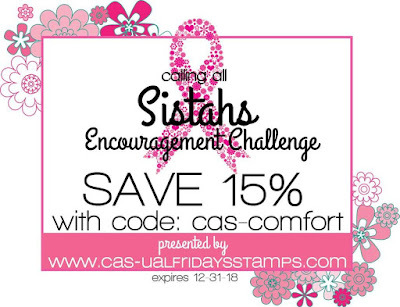 You really should join us for our encouragement challenge each month. 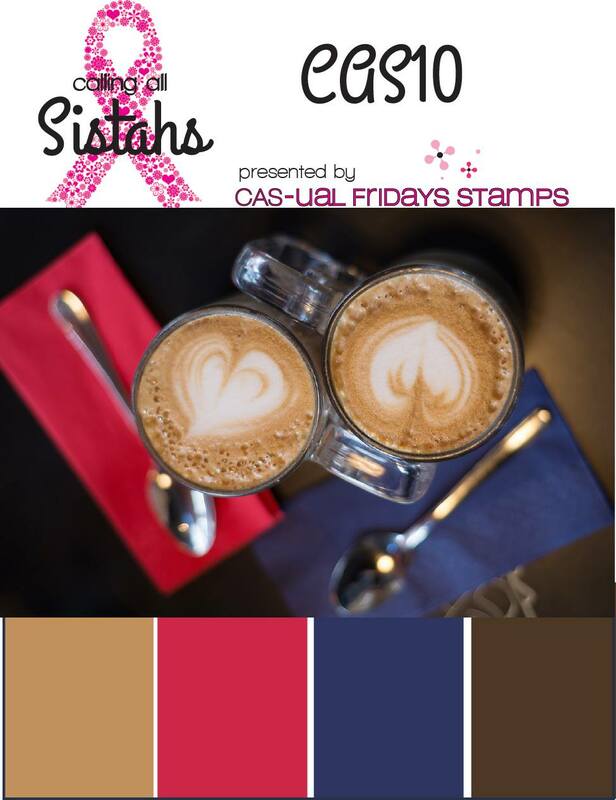 You are already making the cards, this way by entering, you might win a little something for yourself. I'm with you, Penny, the smell of coffee is heavenly but the taste... not so much. I like my coffee with just a dab of coffee and a boatload of chocolate, creamer, and/or caramel. At that point, I'm not sure it's even coffee so much as sugar overload. 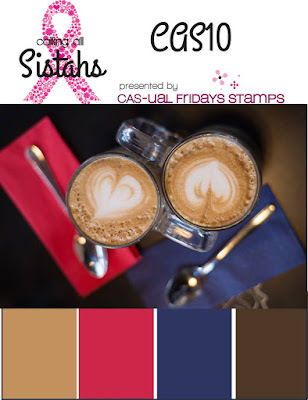 :D Love that you used the colors instead of the photo to create your beautiful card this month! 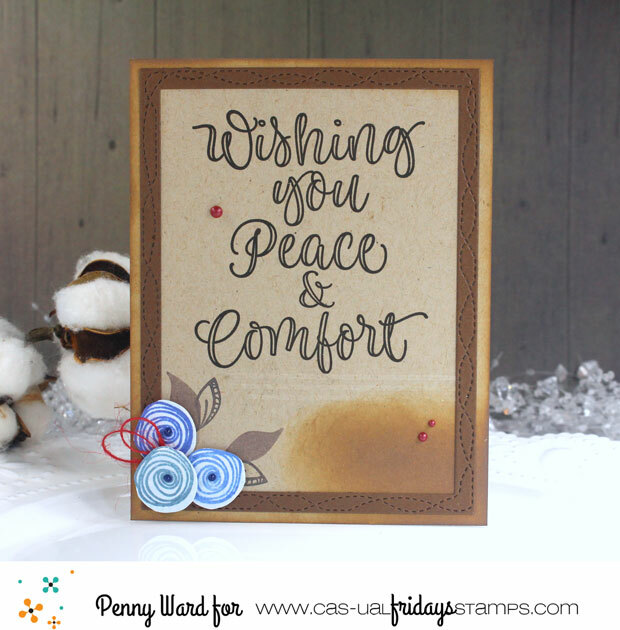 Very sweet card, certain to be a comfort. That border is subtle but really adds richness.